Has your home been overcome with halloween sweets and carved pumpkins? You aren’t alone! 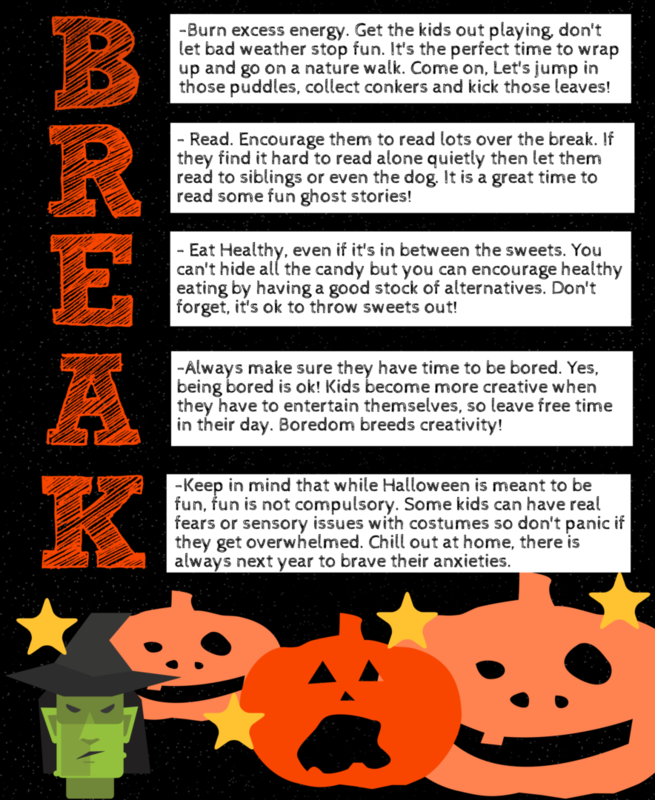 Halloween break is lots of fun but lets focus on how to tackle the school break by having fun but not getting too off schedule. This is especially important for children with extra needs who find the slip in routine and the onslaught of halloween parties challenging. Check out our fun infographic. What have you planned for the break? Have some Halloween tips? Do let us know! Happy Halloween from Cortechs!